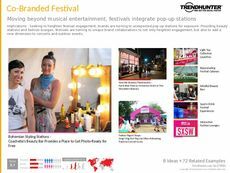 Find Better Ideas, Faster ® with a custom fashion collaboration trend report, our PRO Dashboard and 80+ categories of premium trend reports. The Fashion Collaboration Trend Report showcases innovative examples of designers collaborating on fashion lines to entice consumers and broaden their markets. It notes the rise of co-branded items and lines that attract attention and interest by merging styles. 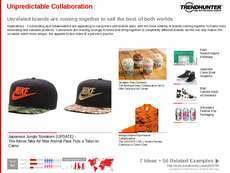 It looks largely at the success of brands that sell similar products but reach differing demographics. Fashion designers, marketing agencies, brand and product managers all benefit directly from the supercharged information within this report. Sneaker and outerwear brands as well as fashion brands looking to re-brand their identity through collaboration will find useful and applicable takeaways. 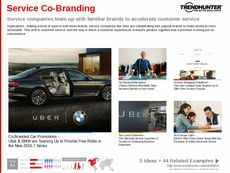 The Fashion Collaboration Trend Report illuminates the rise of co-branded clothing lines that result in creative and novel products that entice consumers from both brands' target markets.